This LP has 43 parts. 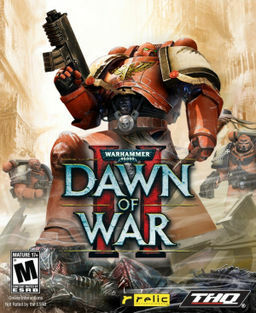 Set in the ridiculously grim, dark and war-riddled setting of the Games Workshop tabletop wargame setting Warhammer 40,000 series, Dawn of War 2 by Relic Entertainment is a bit of a weird Real Time Strategy Game. 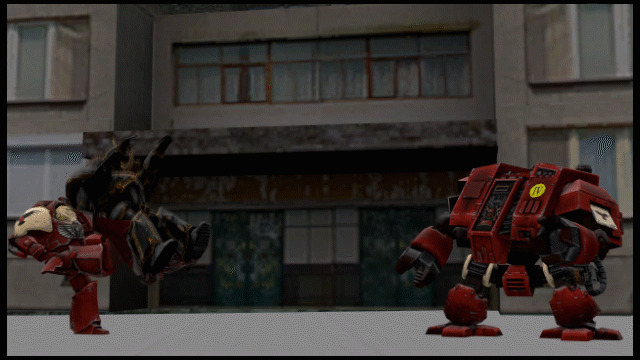 Its core concepts would be familiar to anyone who had played the original Dawn of War game and its expansions, or to anyone who played Relic Entertainment's World War 2 RTS Company of Heroes. There's direction-based cover mechanics, morale and suppression systems, and resources are primarily gathered through control of points on the map outside of the base. 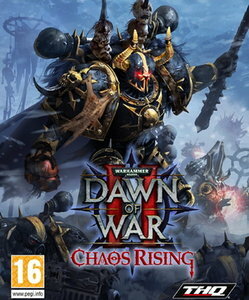 Dawn of War 2 goes in a slightly different direction to its predecessors, in particular its campaign mode is a hybrid of RTS unit control and an Action-RPG system of stats and weapon choice with absolutely no base building or resource management. The gameplay and story focuses on the 40K franchise's iconic Space Marines of Relic's own personally constructed Chapter the Blood Ravens. Your selection of units in the campaign is very small, but that results in a deeper level of interaction as you arm these units with weapons you like, and the game gives you influence over their development and skill selection to further accommodate your own play-style preferences. Needless to say with all the options the game throws at you, you can end up with some interesting combinations that can then become horribly broken once carried over to the game's expansion Chaos Rising. Not only is Dawn of War 2's campaign mode quite fun, but it also comes with a co-op mode to allow two people share the load. With that in mind I've got my co-op buddy Coolguye with me and we're going to be running through the entire game together. It's our intention that should we clear our way through this campaign we will cross through to Chaos Rising, and perhaps even the Space Marine story of Retribution. However we'll cross those bridges when we reach them. We hope you enjoy this Let's Play. 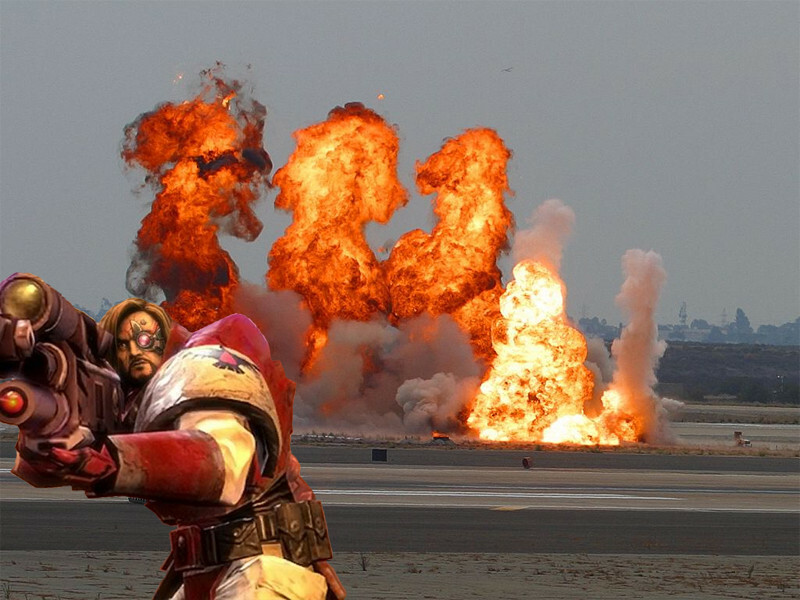 We also did an LP of the expansion, Dawn of War 2: Retribution. Chaos Rising is the first of the two expansions released for Dawn of War 2, and features a lot of new content in line with the substantial content produced for the Dawn of War expansions. Amongst its new army and new units the game also boasts an extremely strong story campaign. The Chaos Rising campaign picks up where the previous one ends, allowing the player to import their unit statuses over with their levels and skills where the player had them. The level cap for your units is raised to 30 and new skills are added to everyone's tree, some of which are hilariously powerful and a treat to see. There's more wargear as well, with new types of weapons or accessories that further boost the abilities and utilities of your team. 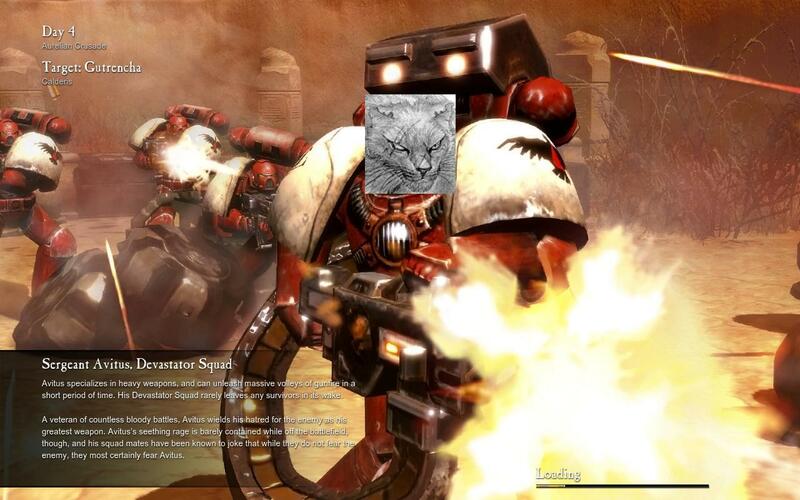 There's also a new character to use with a whole unique set of abilities and functions, and some more of that sweet sweet Relic Space Marine writing thrown in with familiar faces grimacing and chewing the scenery some more. But perhaps the most interesting part of Chaos Rising's Campaign is that it has a new mechanic that has been worked into existing mechanics for the game almost perfectly. In essence as you play you will be given choices regarding your actions in battle, unit deployment and even your wargear that can change the purity level of your Space Marines. Do you pursue power and strength at any cost? Or do you walk in the light of the Emperor? There's benefits to both but most importantly of all these decisions have a significant impact on events that occur within the game. It's all this new content combined with keeping what I loved about the Dawn of War 2 campaign intact that makes me consider Chaos Rising the best of the three campaigns in the series. I hope to show you why, and I hope you enjoy this journey paved with the blood of aliens and traitors. Dawn of War 2's campaign mode has the RPG element of placing points into one of four stat-lines whenever a unit levels up. When enough points are placed into a line the unit can gain new abilities, deepen their access to wargear or upgrade existing abilities both passive and active. Since the game lets you choose what to put these points into Coolguye and I will be leaving this up to voting. Rather than vote on each individual point's placement, whenever a character levels up thread participants will be directed to vote on the next titled upgrade to aim for. The upgrade being voted for must be the next available upgrade on that particular line, and once voted for all available points earned from levelling up with that character will be poured into that line until the titled upgrade is achieved at which point heretical democracy may begin again. The status of each unit and their personal progress in levelling up will be displayed on the second post of this thread, with a list of abilities beneath them and a blurb explaining what they do. Wargear load-outs will be handled by Coolguye and myself based on the levelling choices of the thread, but feel free to request a particular weapon be used by a certain character when the weapon is acquired. Torlon has been a right decent fellow and set up a group for people following the LP to meet up for playing DoW2 Multiplayer and Last Stand modes. I will likely use this group to set up some recorded multiplayer games amongst folks for the purpose of showing off the game. Torlon also recorded some multiplayer on Retribution! Multiplayer 2v2v2 (Non-Polsy) - Featuring TheLastRoboKy and Coolguye as observers/commentators. Brainamp and Fanzay versus Lemonrind and Atomikus versus Veloxyll and Iretep. Anvil of Khorne (Non-Polsy) - Complete run played by Torlon, Brainamp and imfrustrtd. Bloody Colosseum (Non-Polsy) - Played by Torlon, Luquos and The Deleter. Rulebook Heavily kept track of our casualties throughout the first campaign, within the spirit of the Administratum. "More mustard" by Castell, a friend on Steam. SIGSIGV accurately sums up our experiences trying to get Sergeant Catvitus to do anything when he's not in the mood. ScotchDK made a fine thing. Sykic demonstrates how he plays Lord General in Last Stand mode. precto says "They called me initiate. I called them charred meat"